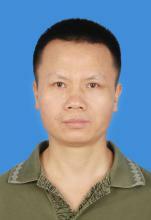 Zhaotian holds a PhD in science (Fudan, Shanghai, 1998) and a Master degree of science (MSc, NJU, Nanjing, 1995) and a Bachelor degree (JXNU, Nanchang, 1990). His research interests are econometrics and social simulation. Recently his research focuses on the topics of the monitoring and early warning system of economy and city’s real estate market simulation.